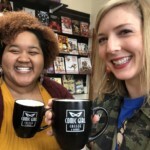 Just Jess and special guest, Alyx Reid, are live at Comic Girl Coffee & Books to break down the latest cliffhanger episode of Supergirl. 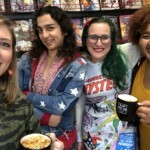 *SPOILERS* Just Jess and writer, Alyx Reid, are breaking down the latest episode of Supergirl at Comic Girl Coffee & Books. 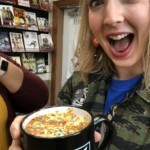 Just Jess and special guest Alyx Reid are LIVE from Comic Girl Coffee new location at 1224 Commercial Ave taking a deeper dive into the latest cliffhanger episode of Supergirl! (*SPOILERS* if you aren't caught up on #Supergirl.) 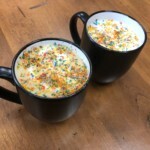 The show won’t be back until April 16th, but there's plenty to ponder until then. Plus a special message from Ominous Press about their new inspirational comic, "Kicking Ice."